For many years, New Guinea Highlands Coffee Exports (NGHCE), our sister company in PNG, has been a supporter of the remote village of Keregera, which produces coffees that are representative of the high quality that the region is so capable of but that can be hard to source. 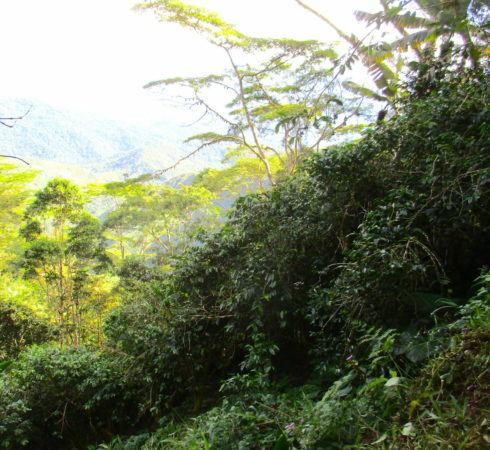 Coffee was first grown here in the early 1930s, with Blue Mountain seeds that were smuggled out of Jamaica by Lutheran missionaries, intending to grow the plants for their own coffee consumption. The name Keregera comes from the tribal group of subsistence farmers in the area, and the village is located on the eastern slopes of Mt. Kananbiga (2,290 masl). 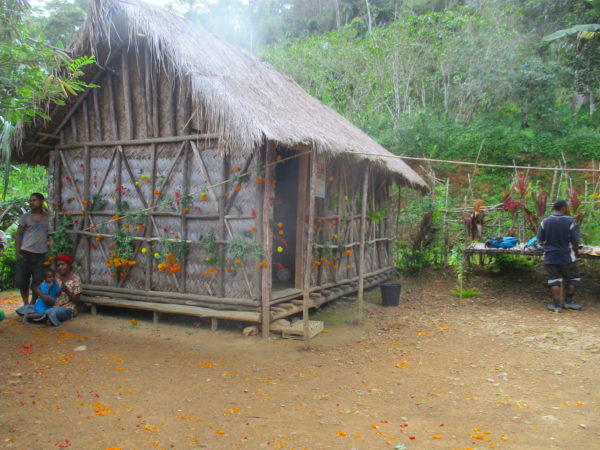 The area features steep slopes, loamy clay soil and enjoys a rainy season from December through March. Smallholder farmers farm organically, but the coffee is not certified as organic, because the isolated area is too difficult for the auditors to reach. Coffee is handpicked, pulped by hand-cranked machines, washed in the river, dried in the sun and then walked down to the highway to be delivered to the NGHCE mill in Goroka, where it’s machine hulled and polished. NGHCE set aside two lots from the deliveries they received from Keregera during the past season; they've simply been designated as 1 and 2. The numbers suggest nothing about quality (just a lack of creativity in naming)! This coffee reached out warehouse in February 2018. Cupping notes: Winey acidity, creamy body. Fruit forward, dark chocolate, soft citrus. Fruit foward, dark chocolate, soft citrus.